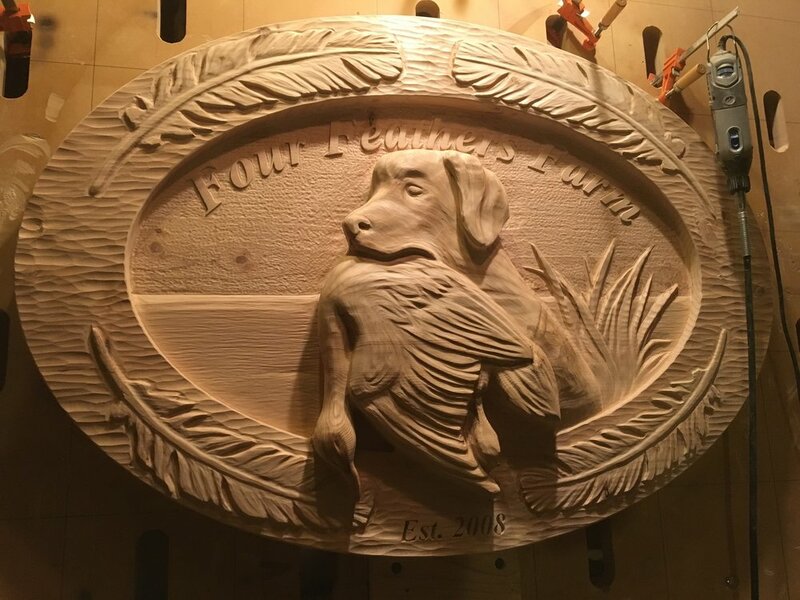 Just finishing this awesome wooden farm sign featuring a hand carved lab dog with duck. Wood sign is near 48" wide. Fox Wood Signs - www.foxwoodsigns.com.